Alan & master at I-Ching Conference Singapore. When I set off my first learning, I have always observed a trend and that is students kept moving from one school to another school and I was no different. The only lucky thing for me is that I did not have hop around too many schools. I guess most student jump around primarily due to two main reasons. One is the feeling of inadequacy. Inadequate in the sense of not getting consistent results or perhaps cases gone bad. Inadequate for the feeling something does not quite matching or contradicting with observance. Example, many say lamp post in front of door is bad or facing a T junction is bad or sitting with the back on solid wall is a must for successful but yet in reality many successful people do have these features at home or office. Second reason in my observation is the unending quest for all Feng Shui knowledge for they believe the more methodology you have under your sleeve the better the system will work. Just like a handyman with 100 tools beside him versus handyman with 25 tools. However, this stems from common misconception about Feng Shui. On the contrary, mix matching system in Feng Shui is dangerous just like you cannot practice Hinduism, Christianity, Islam or Taoism all at the same time to perfection because there are bound to be contradiction. Hence, with Master’s blessing, I have decided to embark on this voyage to re-correct masses misunderstanding through the promotion of lineage proven, authentic Feng Shui system that yields consistent results. Our Grandmaster, Master Tan Y W acquired the knowledge from Yang Jiu Ru who is the disciple of Zhang Zhong Shan, the San Yuan lineage holder of Jiang Da Hong. We are widely known as the Wu Chang (无常) School of Feng Shui. Master Tan started to teach in Shanghai feng shui to the public akin to the Lilian Too who popularize feng shui to the masses and the West. One of his distinguish student is Master Yen Pen who compiled years of cases he has done and met into the book Er Zhai Shi Yan (二宅实験). During the 2nd world war, another of his student, Master Sui Ming was entrusted with the Books San Yuan Di Li Lu Tu for safekeeping and for future generation. Master Sui Ming and Master Yen Pen both met during their stay in the temple in Cameron Highlands Malaysia and had many exchanges of feng shui knowledge and experiences. Later due to age, Master Yen Pen returned to Penang where he continued to teach Feng Shui classes. One of his notable student was Master Hong Chuan. Master Hong Chuan shot to fame in 1973 for his feng shui ability to turn around the fortune of Hyatt Hotel back then. Before his passing, Master Sui Ming entrusted the books to his disciple, who is my Master to carry on the proliferation of this true art of feng shui. My Master later took the book to Taiwan for republishing. Many ask me if Lineage is important. I say yes because being an engineer I am trained to reason things out in a realistic and logical manner and thus this is one important criteria when I was looking for a school. Reason is simple, if a Master or his Master self learnt from books, who is to confirm if his learning is correct? Chinese classics are often written in poem form and trust me if you give it to 5 persons, you will end up with at least 2-3 versions of interpretation and this is obvious in any religious material. Lastly, most Chinese will know that Masters never write down everything clearly but part of the knowledge is transferred orally. As such, I always look for real lineage to study. You will also notice they are usually rather low profiled type, strangely. It began with my first venture, I was naive and believed everything like having a toilet above the main door is bad or use Qilin to cure the 3 Killing force. I have met during this journey many failed cases whom clients suffered in silence. Some gave up feng shui, some landed into trouble, some went on searching and some have engaged me. Today, the world of Feng Shui is confused and disillusioned to the point one cannot distinguish between what is real Feng Shui, what is Chinese cultural beliefs and what is mind power. Until I met my master, I began to understand what really is Feng Shui all about, what is the correct Date Selection method, the philosophy behind reading Bazi and most of all what is Life is about. My feng shui skills quantum leaped and enjoyed many successful cases there on. The greatest satisfaction for me is seeing the results and their fortune turned better. Today my clients range from residential, commercial buildings to public listed companies from Malaysia, Singapore and Indonesia. Until today, I may not have spoken to thousands, have not had 100 students in my class at a time but I have a lineage and have helped a big handful of people with bad Feng Shui experience to regain their lives after being duped by famous Feng Shui masters & to regain that Feng Shui is not fake. Today I join Sifu in spreading the real art of San Yuan Feng Shui to the world from my base here in Kuala Lumpur, the capital of Malaysia. Being a Feng Shui Master has heavy responsibility because a lousy doctor kills a patient but a lousy Feng Shui Master can kill an entire business empire or generation. Alan Chong handing a personal copy to Master in June 2016 at his resort home. Master was half way in action in his plantation. Owning a “farm” like house was his childhood dreams. After completing his journey as CAFS, Master Alan went on the pursue his higher level training with 2 other capable lineage masters. This has further deepen his knowledge in Feng Shui especially in the field of Flying Star, Yi Jing and Yin Feng Shui. You can read about some of the Yin Feng Shui cases he has done and corrected. The new knowledge and experience from these 2 other capable masters has broaden and closed the gap for his Feng Shui knowledge. Thus by reading his blog or youtube channel, Master Alan shares his experience on how some complicated cases was solved or clients with good results. His students also benefited from his new knowledge. Graduates from the Art of Destiny School was one level above many students from other schools. This is evident from the feedback of the cases done by his students abroad. Even students from other schools seek their advise. 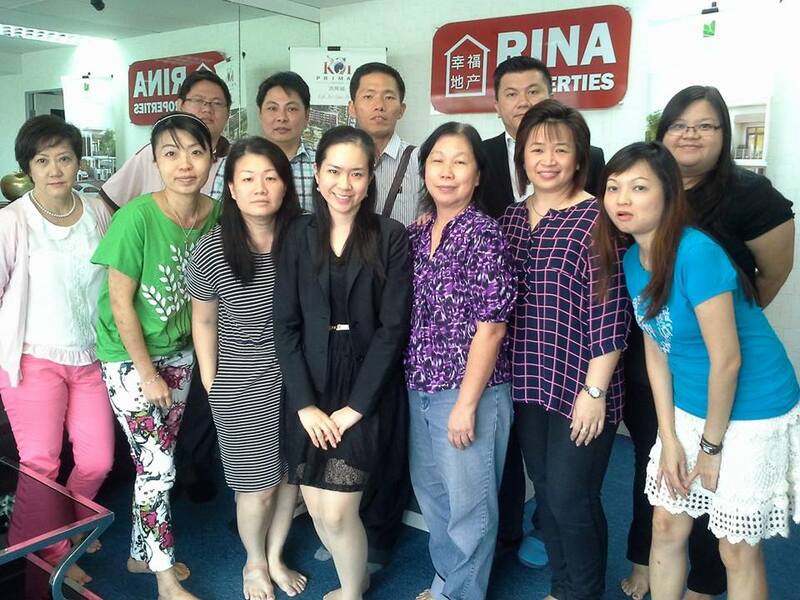 I am often mistaken by others on what I wrote on my Feng Shui Malaysia Blog. I don’t profess that I am the best as I know there are better ones if not today it will be tomorrow. I only wish to share what is real, tested and proven. I don’t think i can help everyone because many a times, there are many other factors beyond my control. I can only help those with affinity with me. In short, I do my best. If you like to read more real feng shui stories here in Malaysia and from worldwide, please follow my blog. As a Feng Shui Master or Feng Shui Consultant, I feel it is my honor to be able to help the many that have suffered from bad feng shui to get back on track. For Consultancy please visit click here.